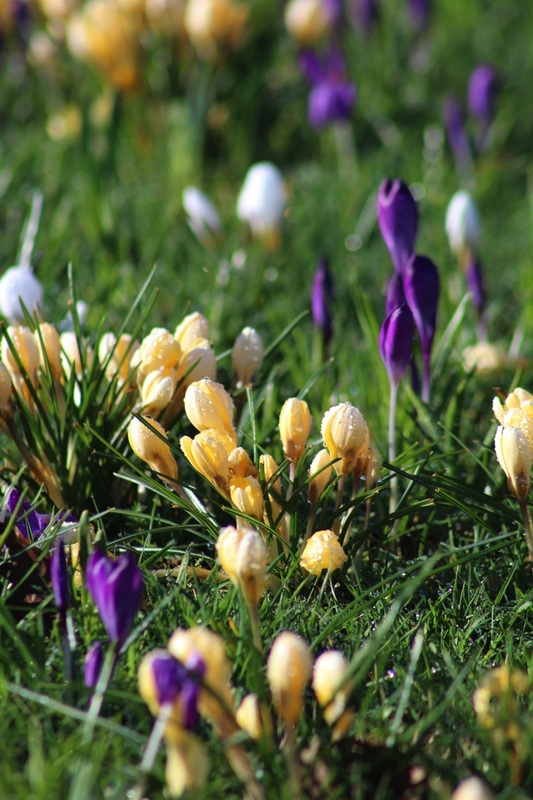 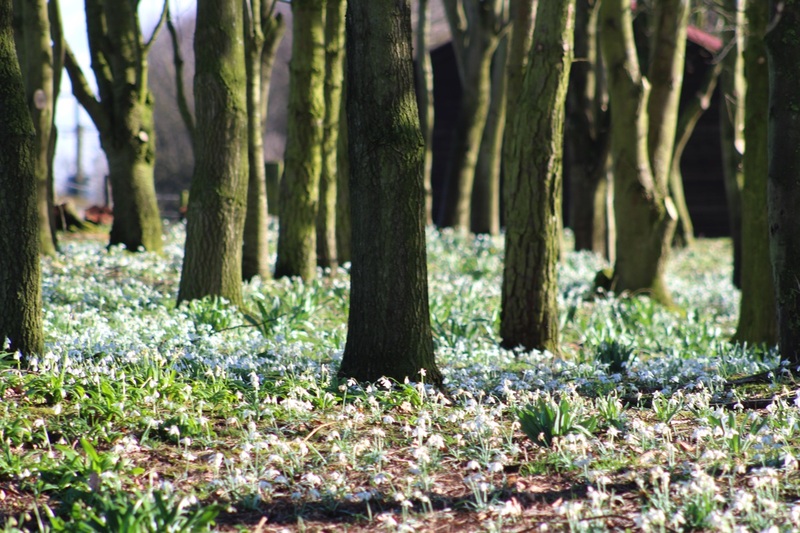 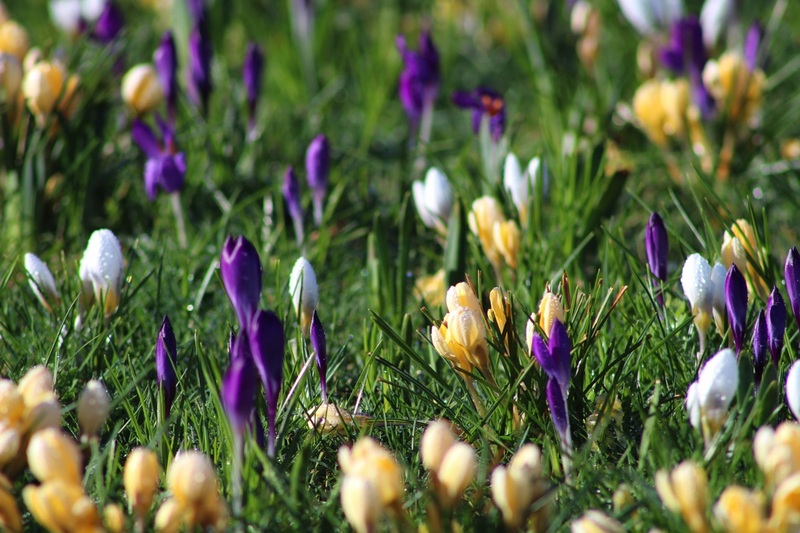 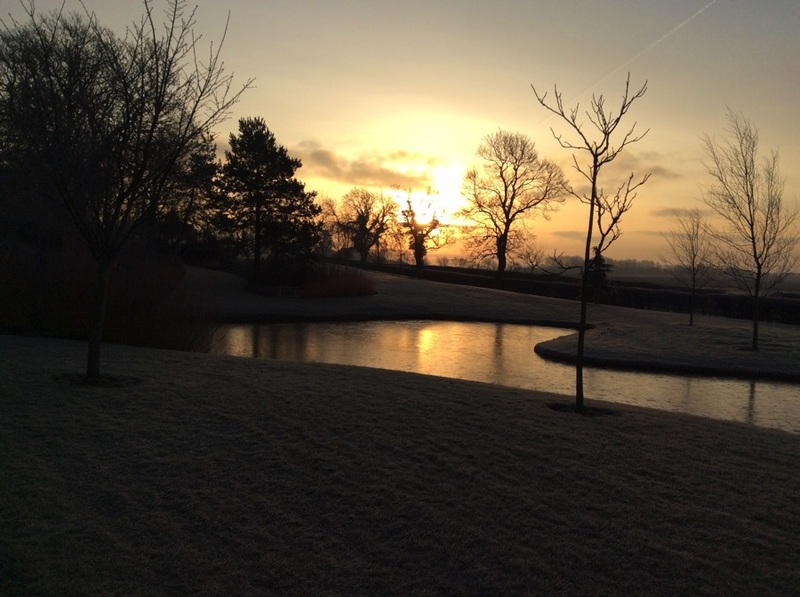 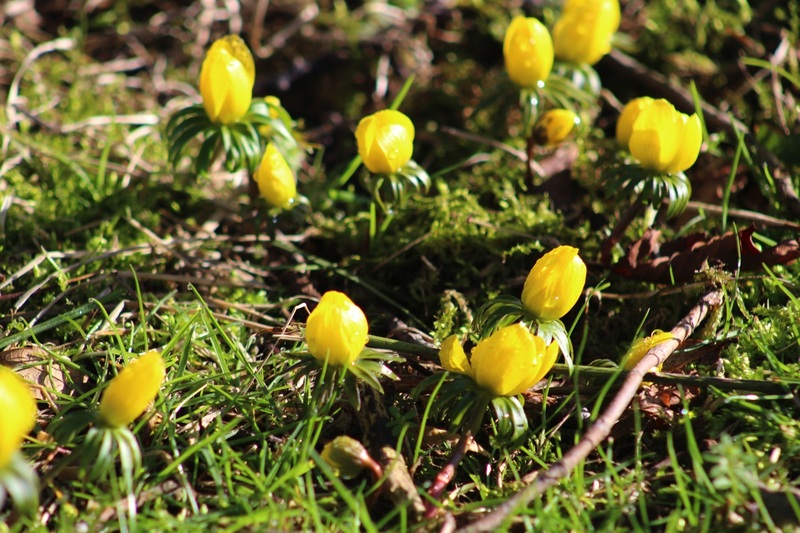 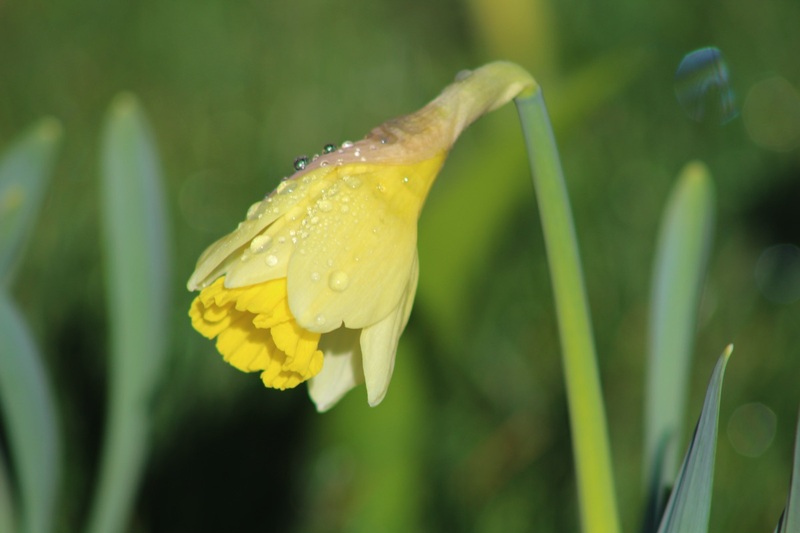 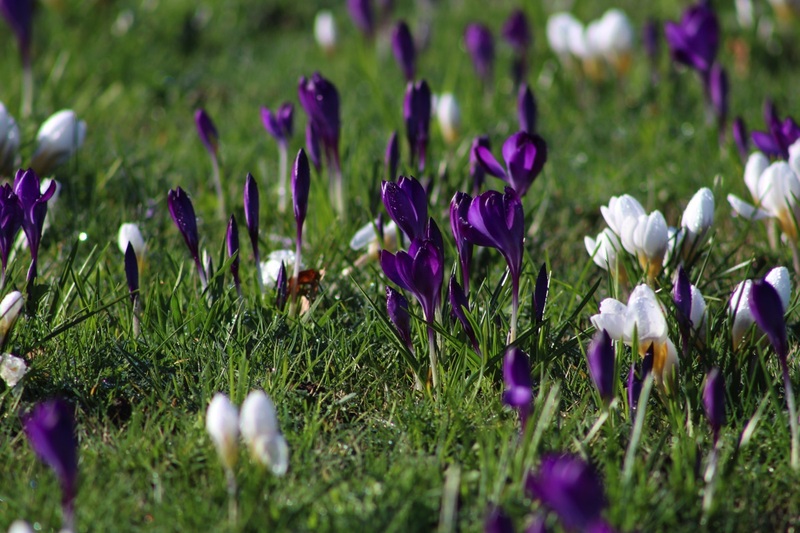 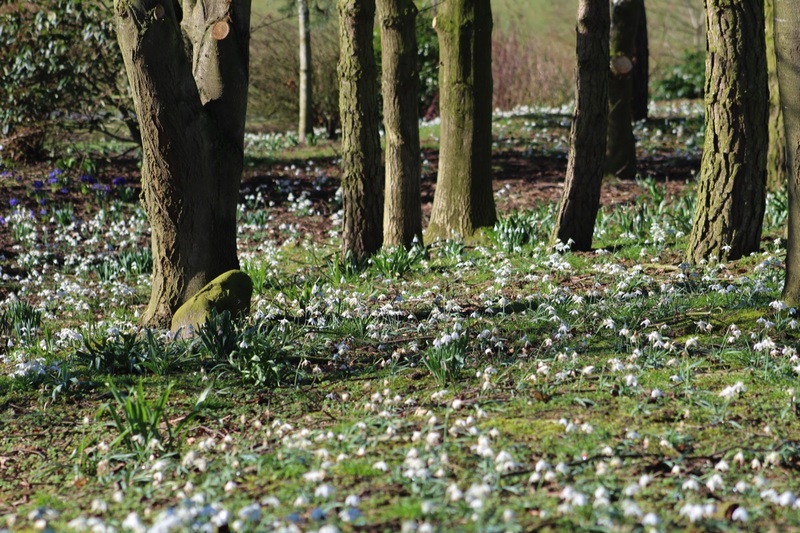 In less than 15 years, 150,000 snowdrops, 40,000 crocus winter irises, and a selection of other bulbs have been planted to create a ¼ mile winter walk leading through the garden and woodland. 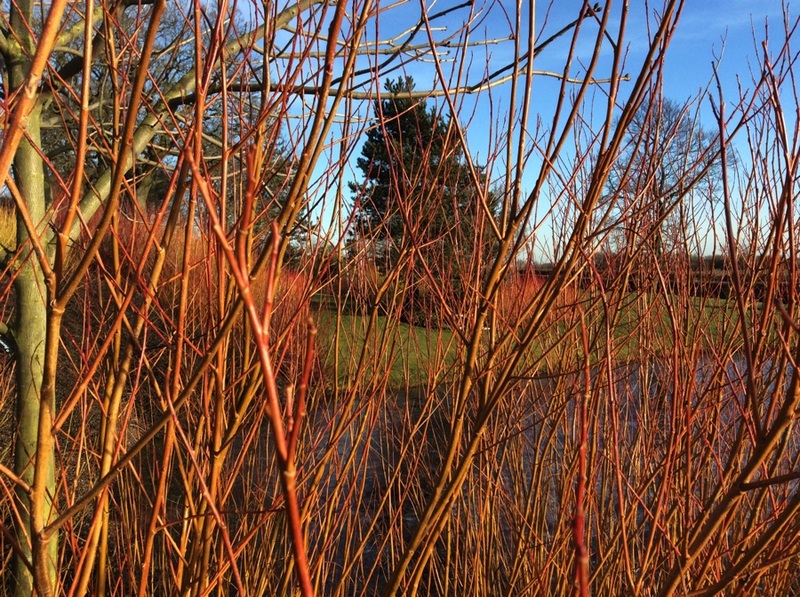 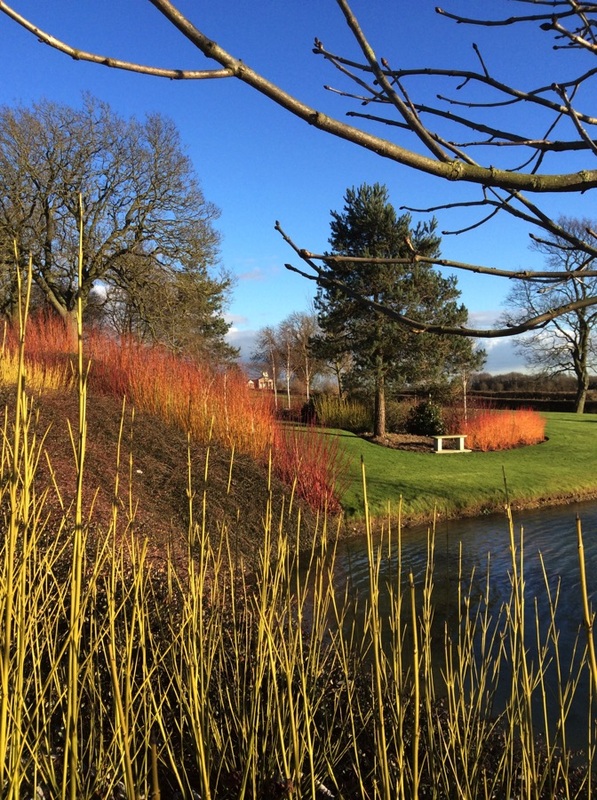 There are banks of willows, dogwoods and winter flowering shrubs, a grove of gleaming white Himalayan birch and pleached red-twigged limes to delight the visitor. 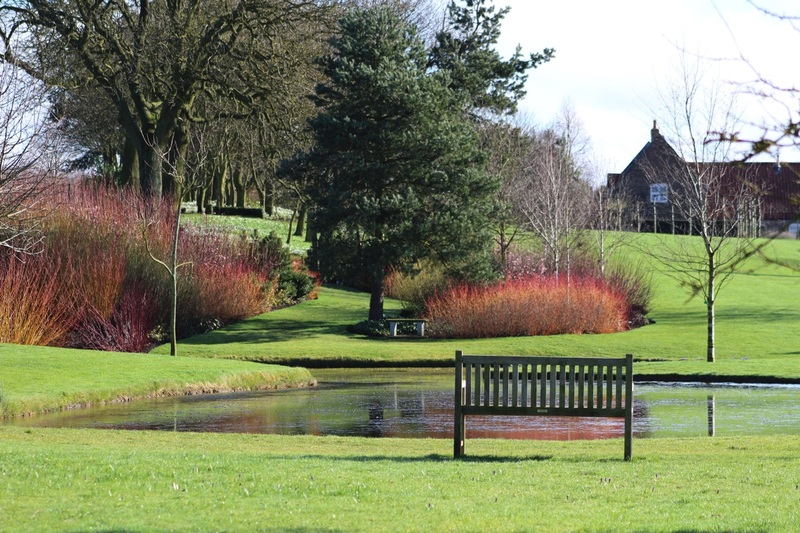 Nearby St. Helen’s church attributed to Capability Brown is well worth a visit. 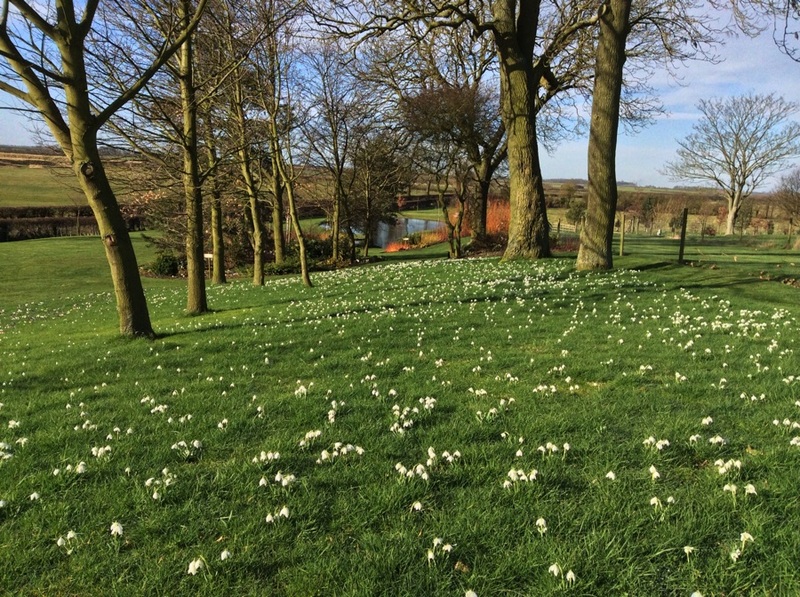 Good parking and mown grass paths. 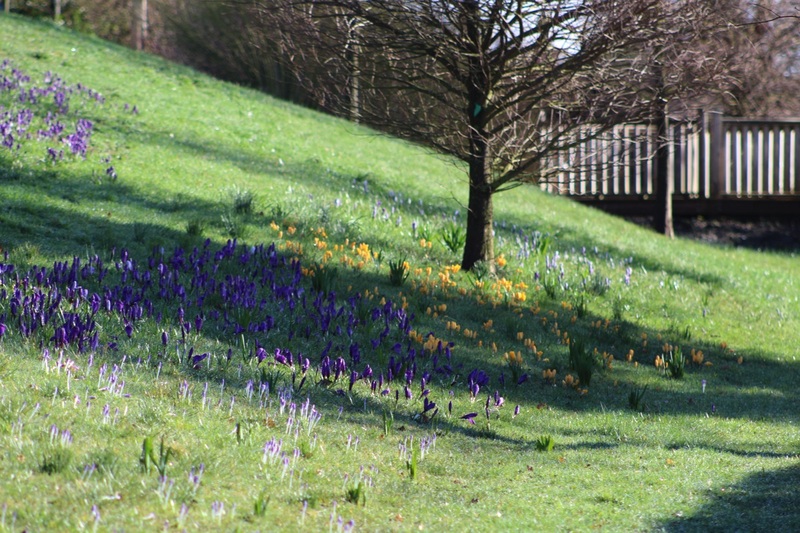 Entry £ 5.00 (children under 16 free). 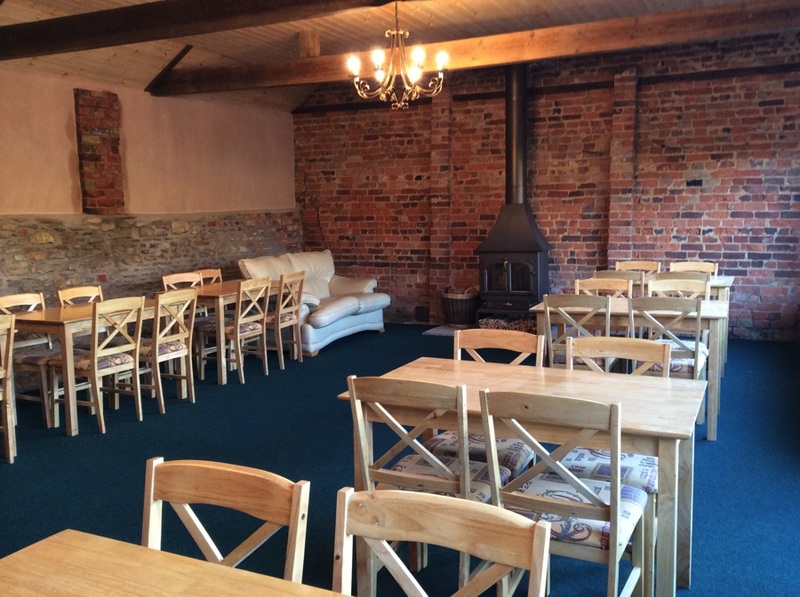 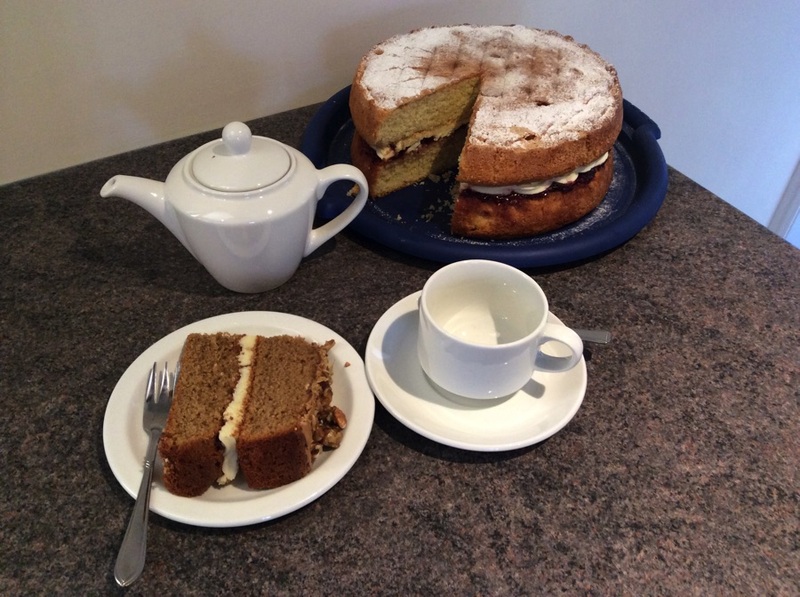 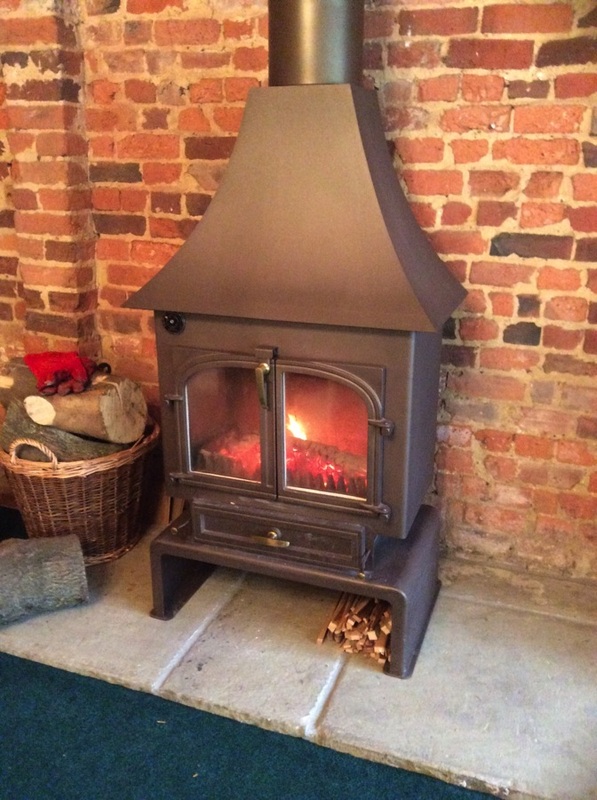 Enjoy the warmth of the log fire in the Hay Barn where delicious soup, sandwiches and home-made cakes are served to round off your visit. 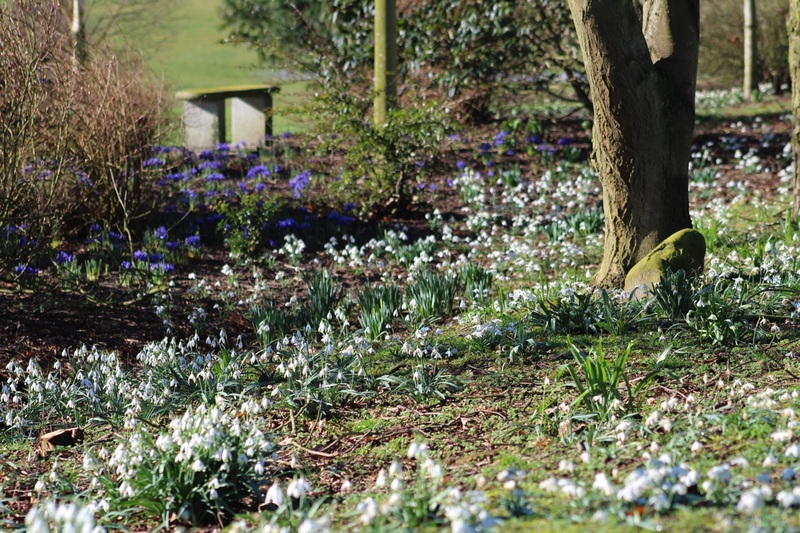 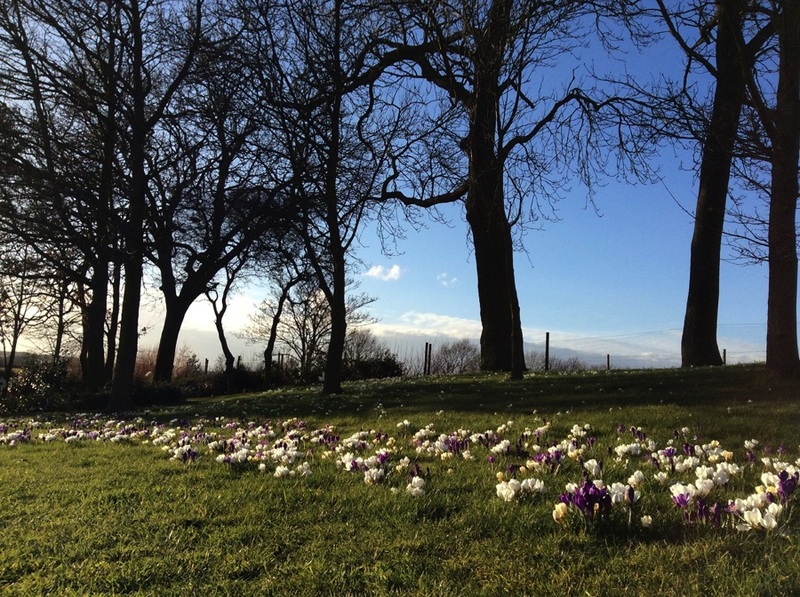 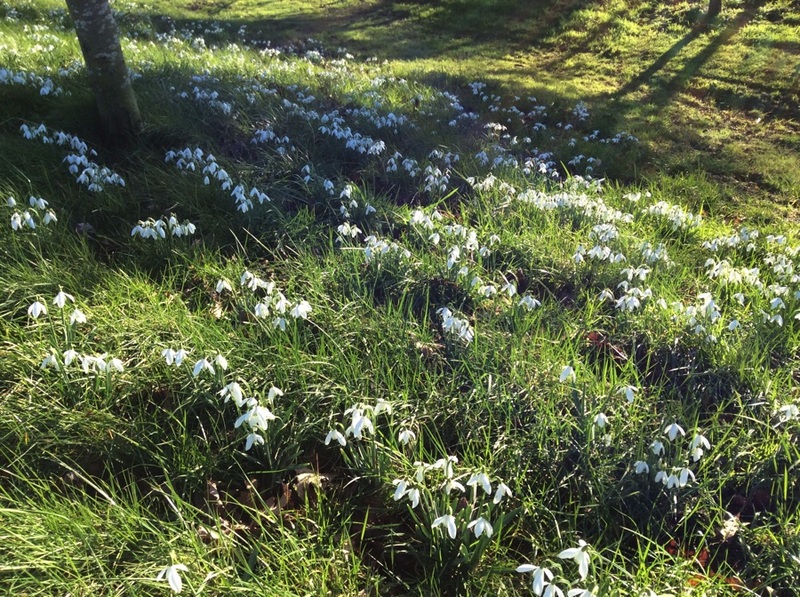 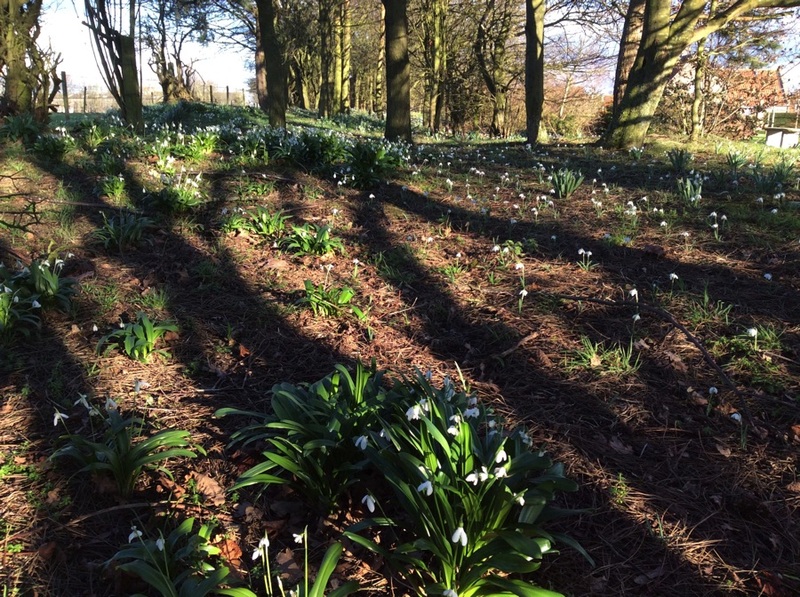 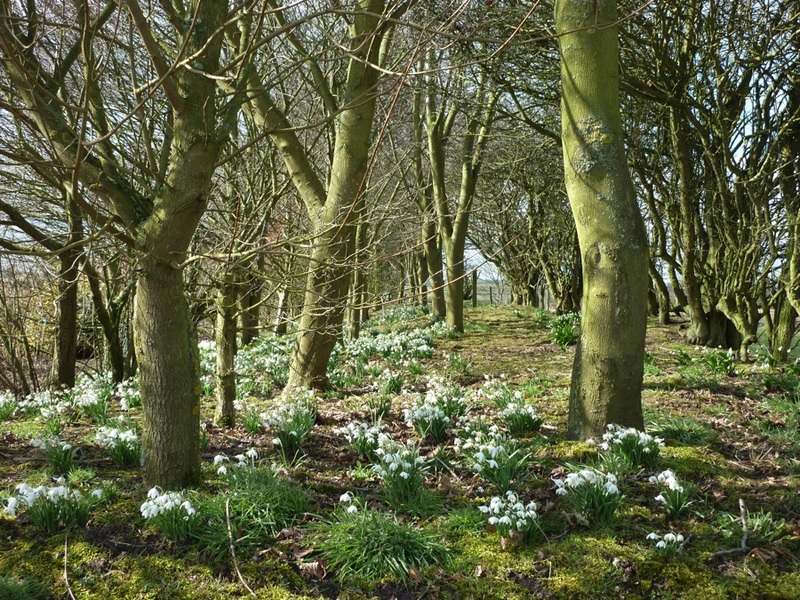 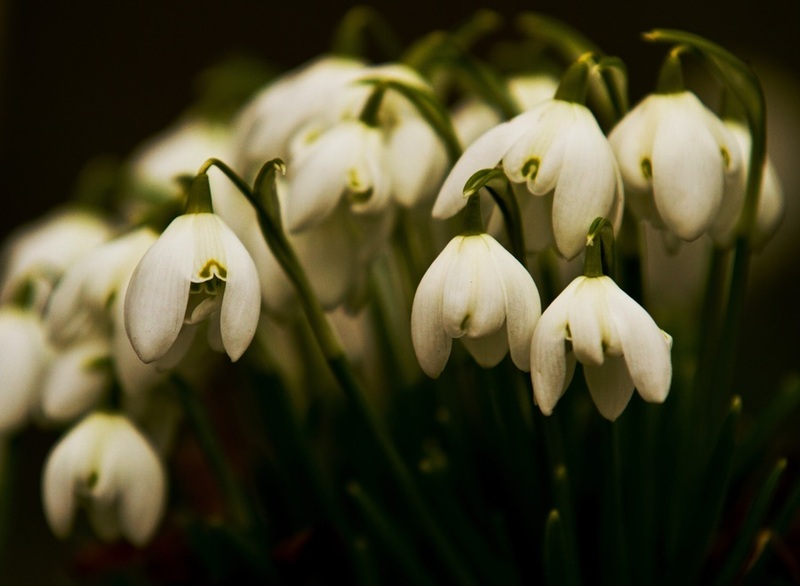 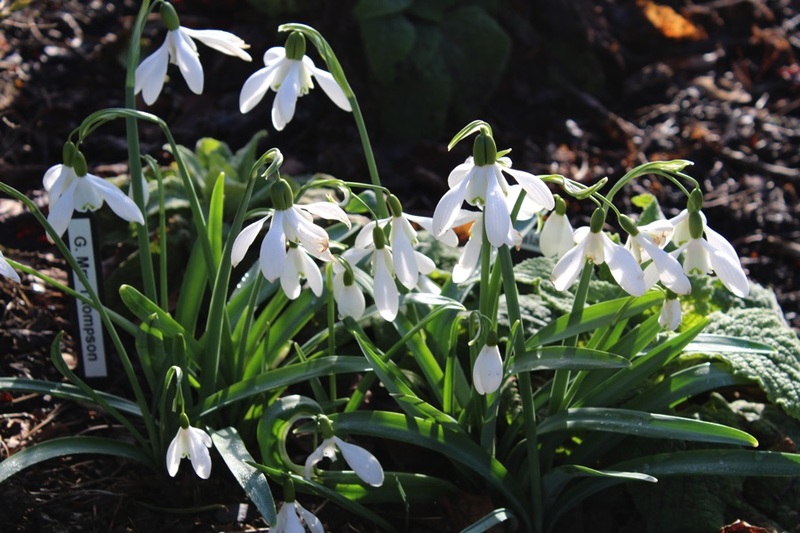 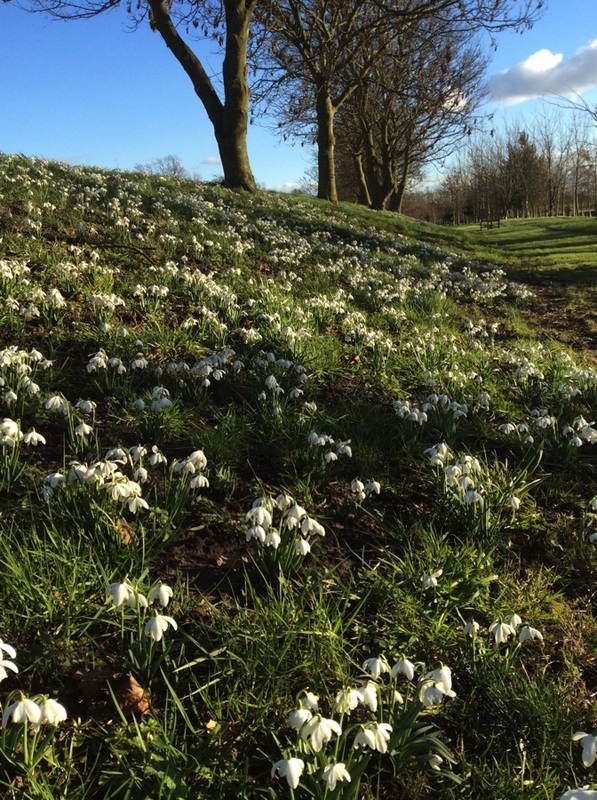 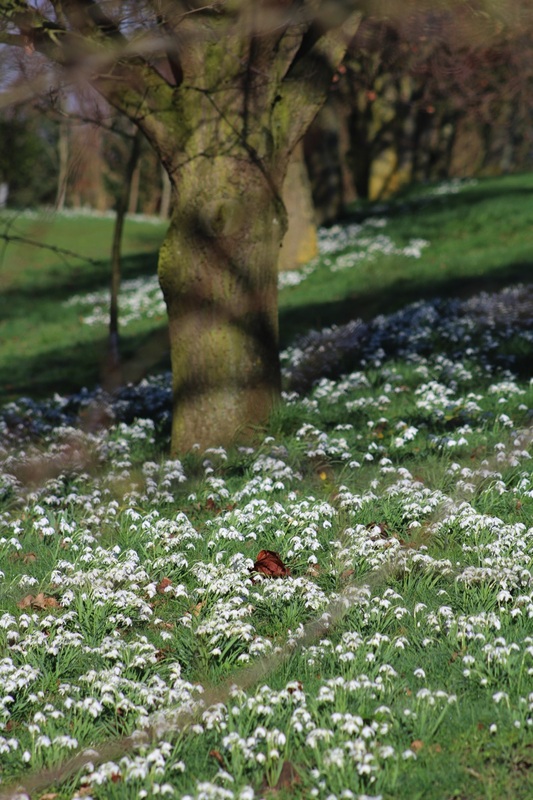 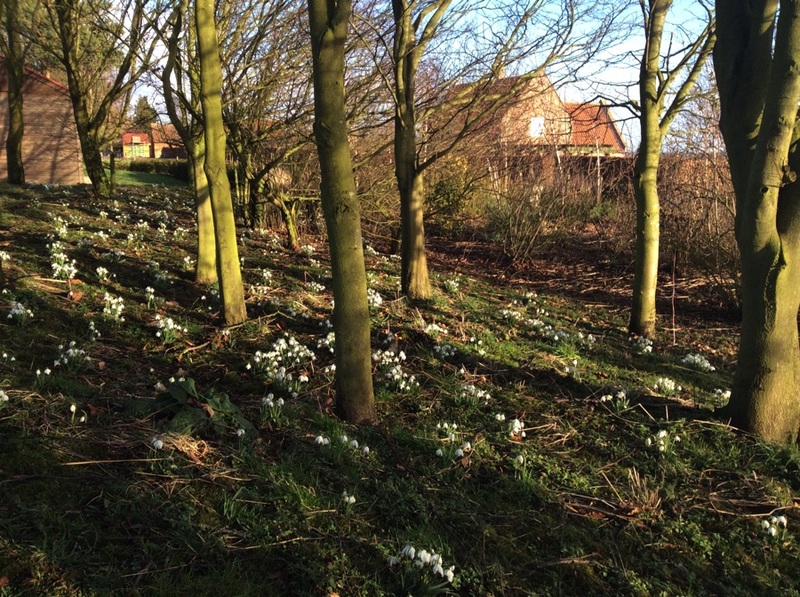 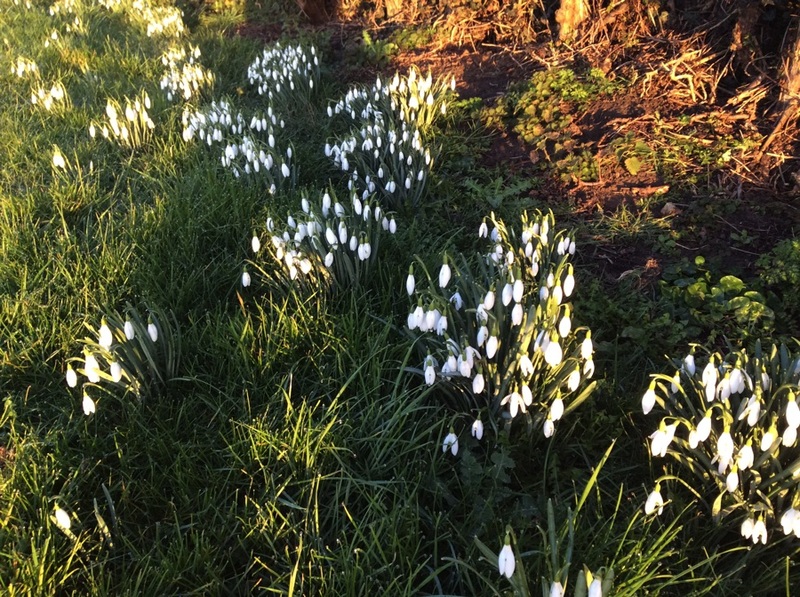 Wrap up warmly (please wear good outdoor footwear) and come and enjoy the snowdrops at Brightwater Gardens.